Free! Your first session with me is free! Did you know that Reiki is used in major hospitals throughout Great Britain? And in hospitals in the USA? And in Australia? And New Zealand? And Malaysia? And that’s only as far as my research has taken me to date (to November 2011). In 2007, over 800 hospitals in the USA were offering Reiki to their patients. (Source – American Hospitals Association, 2007.) Reiki is serious therapy, proven to work (with scientific evidence publicly available; click here to see my page, Reiki research), and available in hospitals alongside conventional allopathic medicine. This video shows you that Reiki is used not only generally in hospitals but actually in the operating theatre, too! Here is Dr. Sheldon Feldman, head of breast surgery at New York-Presbyterian Hospital/Columbia University Medical Center, talking about using Reiki with Reiki Master Raven Keyes and using Reiki practitioners during surgery, in the operating theatre. In the UK and around the world, the benefits of Reiki are beginning to be recognised by the community. As a result of this Reiki is now being used, mainly on a voluntary basis, in a wide variety of settings in the UK, including many parts of the National Health Service. For example, at the University College Hospital in London both full-time and part-time practitioners have been employed to give Reiki to patients, particularly those with life threatening diseases. The following is a list (by no means complete!) of hospitals and other health are establishments here in the UK that use Reiki to treat their patients. And in some cases, they also treat the families and carers of their patients. (Source of above information – Doreen Sawyer, Secretary, UK Reiki Federation, 2010. I am most grateful to Doreen for permission to use this information here. See their website for further information about the UK Reiki Federation). In America, the Center for Reiki Research has produced an amazingly detailed directory of hospitals in the US that use Reiki as one of the treatments available to their patients. The Center also has collated the results of many clinical trials that have examined the performance and effects of Reiki. All of this information can be found on their website, www.centerforreikiresearch.com. So, the Reiki I offer here in Darlington in a private capacity is the same as that offered by all the above hospitals. 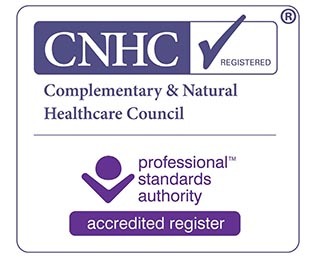 Like theirs, mine is of a professional standard; I am a Master Teacher member of the UK Reiki Federation, and I have full public liability insurance. Reiki has become an effective and internationally accepted form of healthcare – in a word, integrative. To book a session with me, click here. The transfer of energy through a practitioner and into a client to improve a body's natural ability to heal itself. More about what Reiki is. I am a Reiki healer based in the North East of England, though I offer Reiki to people across the world. Need more information? Download my Reiki Ken brochure (PDF)!